Be the first to share your favorite memory, photo or story of Jill. This memorial page is dedicated for family, friends and future generations to celebrate the life of their loved one. 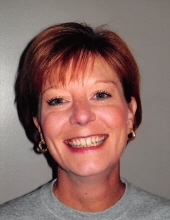 Jill Ann Rogers, 50, of Fayetteville passed away January 11, 2019. She was born in Far Rockaway, New York on March 23, 1968 to David and Sally Becker. Jill was preceded death by her father, David Becker in May 2018. She is survived by her mother, Sally A. Becker; sister, Susy (Jim) Blitch; and a host of friends and others in New York, Ohio, and California. The family will hold a memorial service at a later date. The family lovingly requests no flowers. Contributions can be made to The Alzheimer’s Association, www.alz.org. To send flowers or a remembrance gift to the family of Jill Ann Rogers, please visit our Tribute Store. "Email Address" would like to share the life celebration of Jill Ann Rogers. Click on the "link" to go to share a favorite memory or leave a condolence message for the family.